Are you a fan of vintage items, antiques, and collectibles? If so, you do not want to miss this event that specializes in all items prior to 1980! 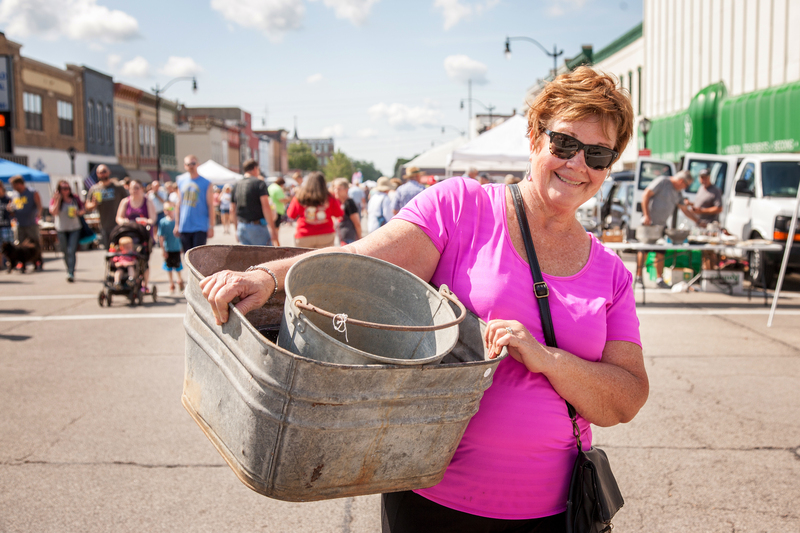 The Litchfield Pickers Market is held every second Sunday of the Month: April through October from 9 AM to 3 PM in Downtown Litchfield, Illinois (beginning on the corner of Route 16/Union Avenue and State Street). 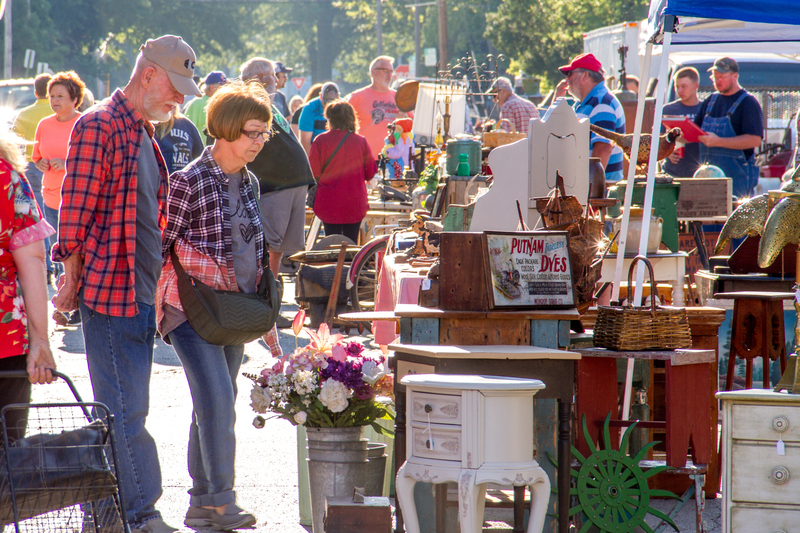 All items sold at this market are prior to 1980 (including antiques, collectibles, vintage items, upcycled items, and refurbished items). Vendors must follow specific guidelines and pre-registration is required to be a vendor. Please scroll down for the registration forms There is no entry fee or parking fee for visitors. We would love for you to join the festivities! To make your trip the best it can be we have some recommendations for first time visitors. Bring carts, totes, trucks, wagons, etc. to haul your treasures. With no entry fee and multiple access points you can park almost anywhere around the perimeter of the market for easy entrance, however please adhere to “No Parking” signs in select areas. 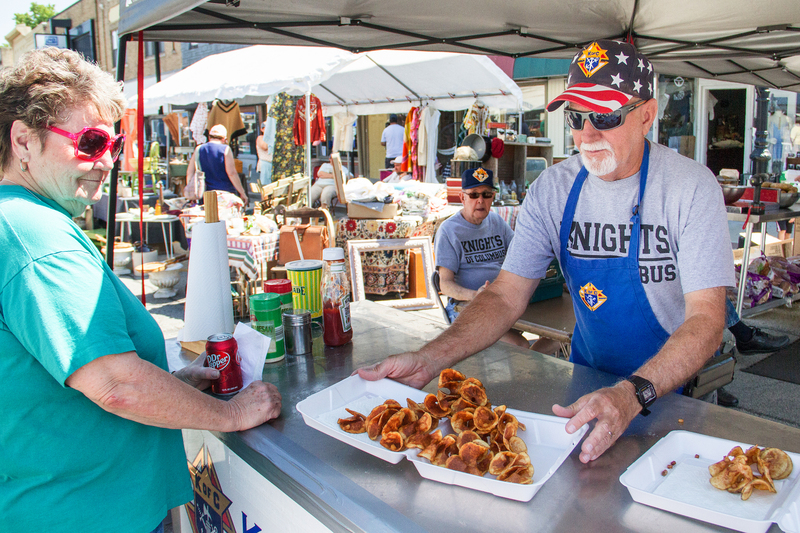 Food booths are located at all the intersections on State Street and a complete listing of food booths can be found below. Live music is held in Library Park so you may want to put a lawn chair or blanket in your car so you can sit and relax. 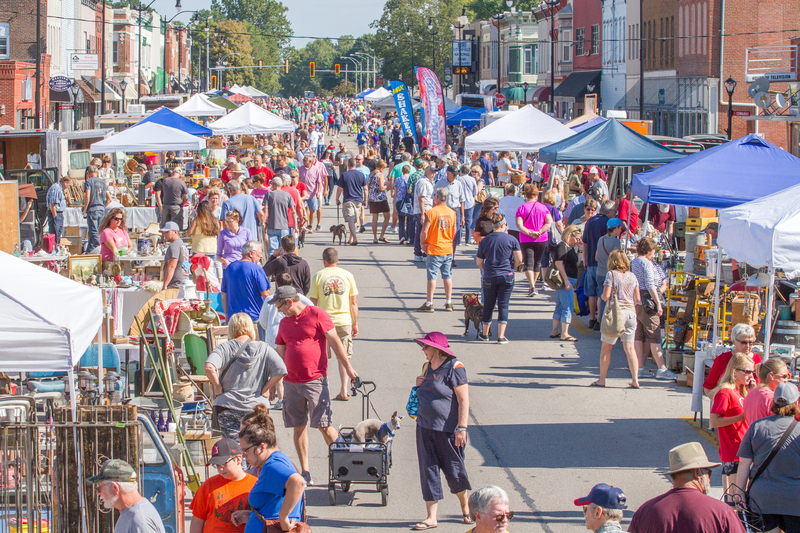 When you attend the market make sure to sign the guest book located at the Tourism Information booth in front of the Library Building’s flag pole on the corner of Union Ave./Route 16 and State Street. In addition to Litchfield information and resources at the Litchfield Tourism Information booth, you can also purchase a Litchfield Pickers Market hat, t-shirt, and tote bag here! 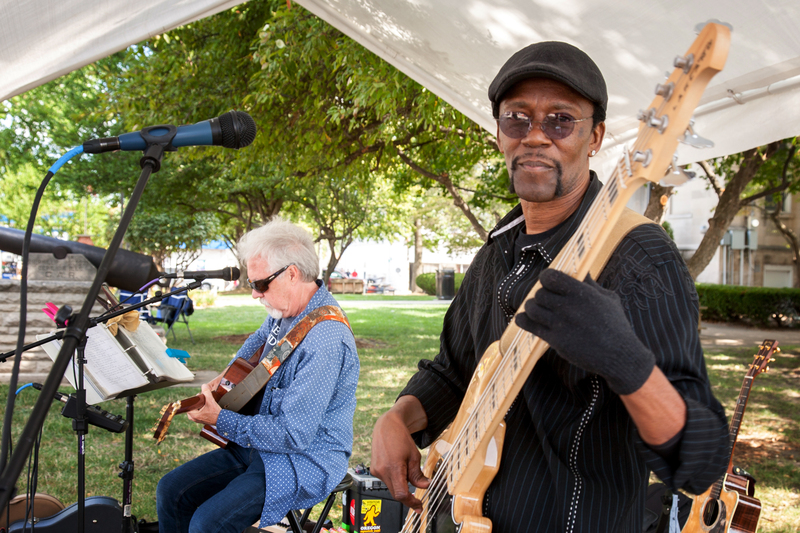 During your visit, pause and listen to some live music in Library Park. With two musical performances at each market, there are sure to be tunes that make your toes tap and tickle your ears. To see who is playing at each market, view the entertainment schedule below. Since seating is limited, so bring a lawn chair or picnic blanket. All performances are free to attend. To request flyers please contact the Litchfield Tourism office at: 217-324-8147 or tourism@cityoflitchfieldil.com . For up to date announcements, follow Litchfield Pickers Market on Facebook! Make sure to like Visit Litchfield Illinois, Litchfield Pickers Market, and Prairie Pickers Flea Market on Facebook. Tax Forms must be submitted to address on form within 10 days after each market. For tax questions, please call the number indicated on the tax form. 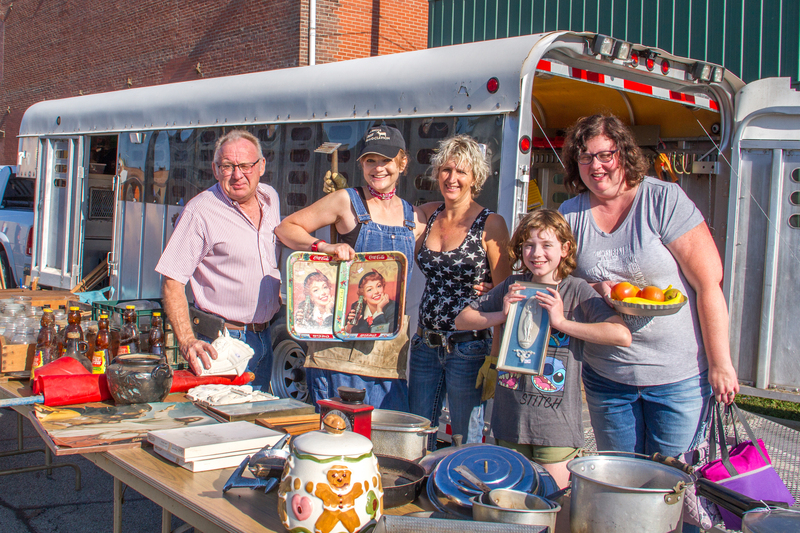 Pickers Market Food Vendor 2019 Application First opportunity for booth space is for returning food vendors. To get on wait list please call 217-324-8147. Must be able to provide certificate of liability for $1,000,000 listing the City of Litchfield as additionally insured and provide a Health Certificate from Montgomery County Health Department. Location: Southwest corner of State Street and Ryder Street. Location: Southeast corner of State Street and Kirkham Street. Litchfield Volunteer Fire Department: Exclusive Food Items: Fish Sandwiches, Corn Dogs. Other Items: Soda, Water. Location: Northeast corner of State Street and Kirkham Street. Location: Northeast Corner of State Street and Ryder Street. Location: Southeast corner of State Street and Ryder Street. Location: Southwest Corner of State Street and Edwards Street. Location: Northeast Corner of State Street and Edwards Street. Location: Southwest Corner of State Street and Kirkham Street.